In a statement, the senator called the timing "unfortunate" but said he had "doubted" James Comey's abilities as FBI director. By Claire Sasko·	 5/10/2017, 12:00 p.m. ORIGINAL: It’s been more than 17 hours since news broke that President Donald Trump fired FBI Director James Comey, who was, of course, investigating whether the Trump campaign coordinated with Russia in its alleged attempts to influence the election. Congressional members across the country jumped to weigh in on the news. Here in Pennsylvania, Sen. Pat Toomey did not. His Twitter feed, Facebook profile and website don’t say anything about the firing. We asked Toomey’s spokesman, Steve Kelly, for comment, but haven’t heard back since we reached out this morning. 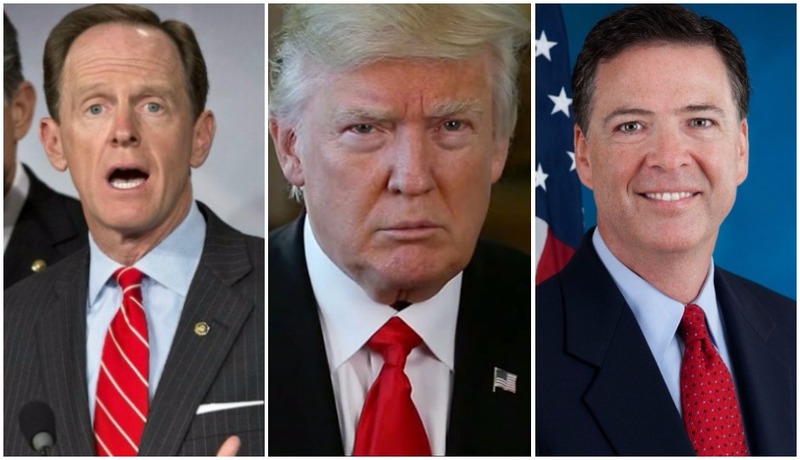 A number of other local politicians have weighed in Comey’s firing. The main investigator of the Russian attack on election has been fired. Now, we need an independent special prosecutor more than ever.